A lovely way to start your Wednesday is by calling in your angels and guides to be a part of it. Wednesday is the day we can focus on our Angel Michael. Arch Angel Michael is able to do many things for us. When I think of this angel I see PROTECTION. I also see STRENGTH, and TRUTH AND WISDOM too. 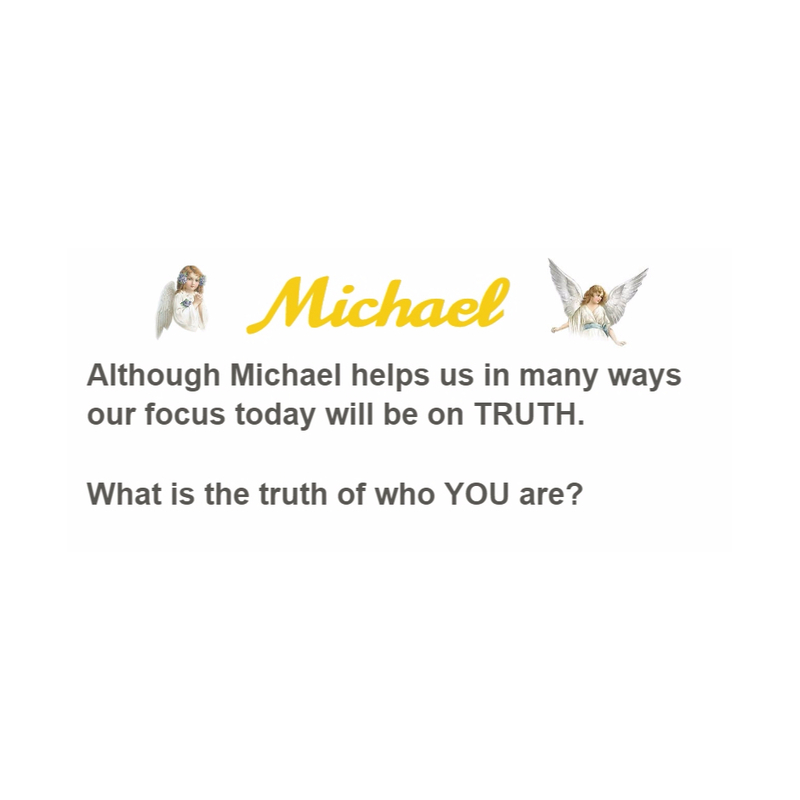 Today though, our focus will be on TRUTH and how Michael is able to help us with that. Many of us have no idea who we are. Your truth might be that you are a creation of God. If this is so, then you might be able to see how special you are. You might be able to see how unique you are. You might be able to appreciate yourself as a gift from God, to your family, friends and even the world. With Arch Angel Michaels help, we are able to discover this truth. Would you like to? YES, it is as easy as that. Keep your eyes and ears open then, for this angel to speak to you. Start to notice your gifts and talents. Start to notice what you love to do. This is a key.